This year, we kept July 4th pretty low key. We had a nice breakfast at the pancake house and then I took the boys up to Kangazoom to run off some steam while Dan took care of some househould to-do’s. After naps, we headed to the mall to walk around and let the kids play some more. We had already had a cook-out the weekend prior, so we opted to eat out instead of doing hot dogs again. Then we headed home and walked off dinner by taking a stroll around the loop. It was pretty humid, but a nice break from the 100 degree weather over the weekend being a cool 85 degrees. 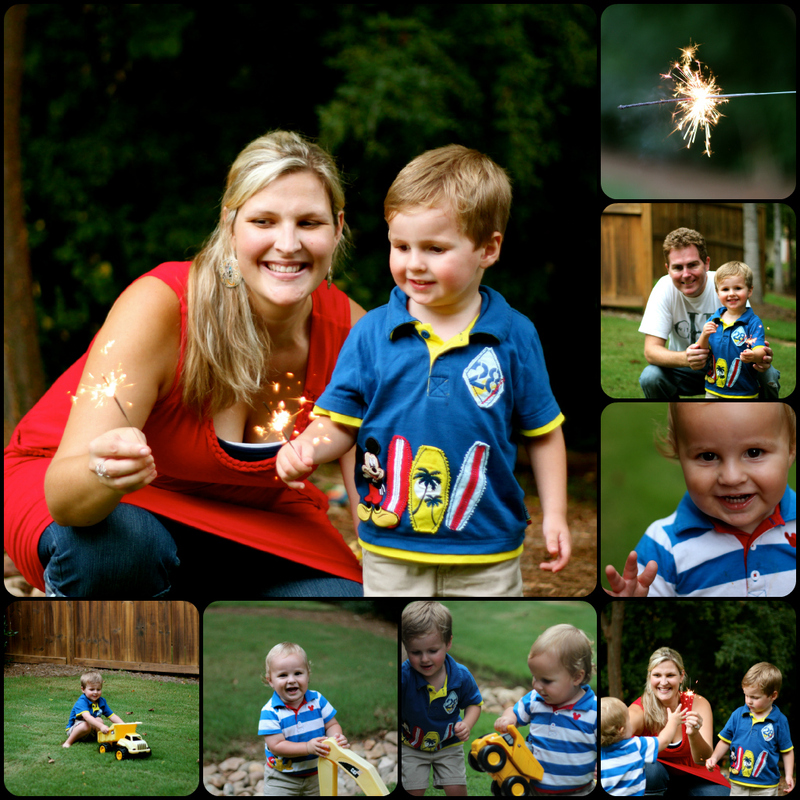 Afterwards, we decided to let the boys play in the back yard for a bit and have Parker enjoy some sparklers. It was big hit. 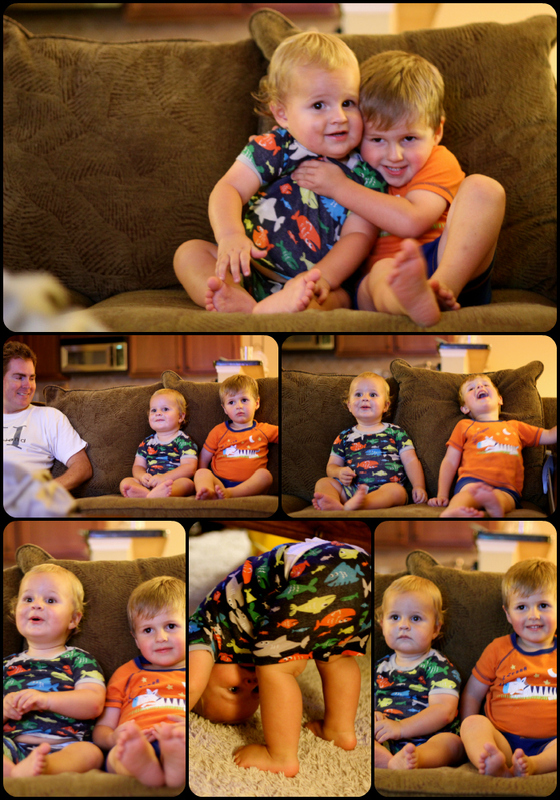 Then we decided to head inside and let them watch Mickey Mouse and get in their jammies since it was getting late and way past their bed time. 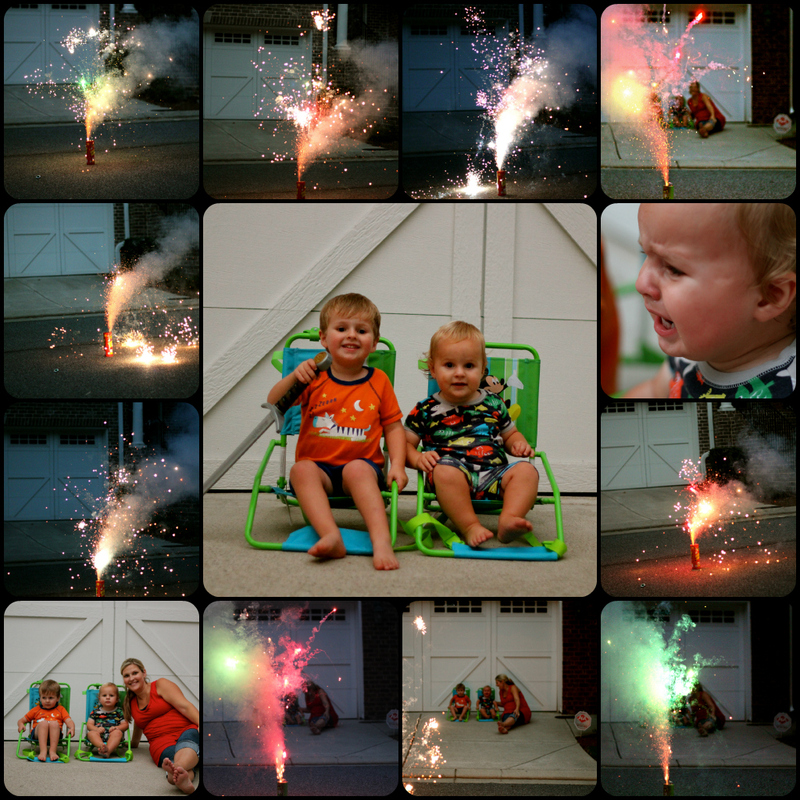 We also wanted to wait for it to get dark some more in attempt to do a few fireworks before bedtime. After some relaxing Mickey, I brought out the boys lounge chairs out front and prepared for a little show with some left over fireworks from last year when it rained. Parker was so pumped to see the fireworks. Mason, however was not! He did fine with the sparklers earlier, so I didn’t think anything of it, but he was so scared of the larger fireworks, particularly the popping. We laughed and smiled and clapped so he would see that there was nothing to be scared of, but he was SO incredibly upset. He had a hard time going to bed. I’m so glad we didn’t go out to a big firework display because that would have scared him to death, and probably ruined it for everyone else around. It was nice spending some quality time with the family, just enjoying the celebration of freedom that we all take for granted every day. I hope you all enjoyed your fourth as well! That s a fantastic 4th of july.!!! !